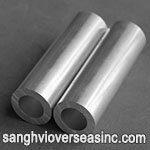 What is 5086 Aluminium Tube? 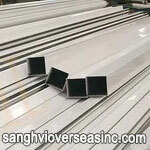 1) 5086 Aluminium Extruded Tube: Aluminium 5086 Extruded Tube, formed by hot extruding through a die, is available as a seamless or structural grade product. 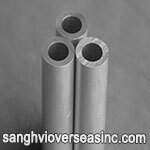 2) 5086 Aluminium Drawn Tube: Aluminium 5086 Drawn Tube is a seamless extruded Tube is brought to final size by drawing through a die. 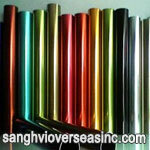 Sanghvi Overseas Incorporation is the leading manufacturer and exporter of 5086 Aluminium Tube, Oval Aluminium 5086 Tube, and 5086 Aluminium Square Extruded Tube that are utilized in divers industries such as aerospace, medical, electronics, firearms and industrial. Supplier of ASTM B210 5086 Drawn Seamless Aluminum Alloy Tube in Tempers manufactured in accordance with international standards ASTM B210, ASME SB210, ASTM B221/ B235 /B241 B313 /B317 /B345 B404 /B429 /B483 /B491 /B547, check 5086 Aluminium Drawn Seamless Tube. 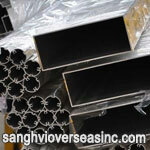 Wholesale Trader of 5086 Extruded Aluminum Tube offered by Sanghvi Overseas, Mumbai, India. 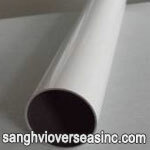 Stockist of ASTM B234 5086 Drawn Seamless Condenser Tube, Condenser 5086 Aluminum Tube for Heat Exchangers, ASTM B235 5086 Aluminium Extruded Tube, ASTM B241 5086 Aluminium Seamless Extruded Tube, 5086 Mill Finish Round Welded Tube, ASTM B313 5086 Aluminium Welded Tube, ASTM B317 5086 Aluminium Tube, ASTM B345 Seamless Extruded Tube, Aluminum ASTM B404 Seamless Heat Exchanger Tube, Aluminum ASTM B429 Extruded Structural Tube, ASTM B483 Drawn Aluminum Tube, ASTM B547 Aluminum Alloy Welded Tube, Jindal/ Hindalco Aluminium Tube in India. 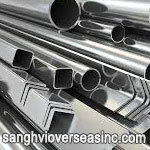 We Export Aluminium 5086 Tube to Singapore, Indonesia, Ukraine, Korea, Thailand, Vietnam, Saudi Arabia, Brazil, Spain, Canada, USA, Egypt, Iran, India, Kuwait, Dubai, Oman, Kuwait, Peru, Mexico, Iraq, Russia, Malaysia, etc. 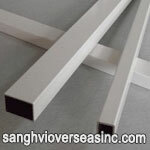 This specification covers aluminum and aluminum-alloy drawn seamless Tube in straight lengths and coils for general purpose. 1.1 This specification covers aluminum and aluminum-alloy drawn seamless Tube in straight lengths and coils for general purpose and pressure applications in alloys (Note 2), tempers, and thicknesses shown in Table 2. Coiled Tube are generally available only as round Tube with a wall thickness not exceeding 0.083 in. and only in nonheat-treatable alloys. 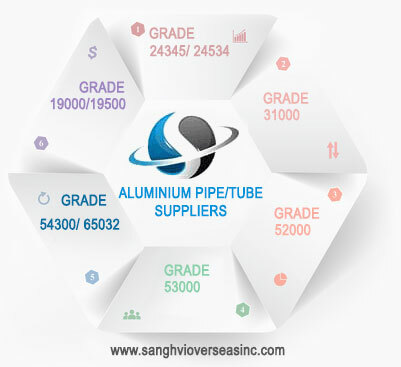 Note 1-See Specification B483/B483M for aluminum-alloy drawn Tube for general purpose applications; Specification B234 for aluminum-alloy drawn seamless Tube for condensers and heat exchangers; and Specification B241/B241M for aluminum-alloy seamless pipe and seamless extruded Tube. 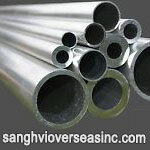 Standard Specification for Aluminum and Aluminum-Alloy Drawn Seamless Tube for Condensers and Heat Exchangers. This specification covers aluminum-alloy (Note 1) drawn seamless round Tube in straight lengths. 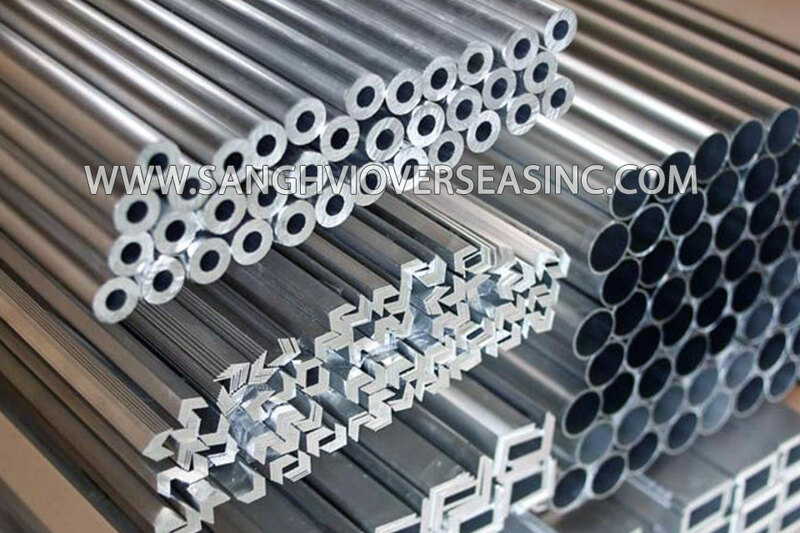 Standard Specification for Aluminum and Aluminum-Alloy Seamless Tube and Seamless Extruded Tube. 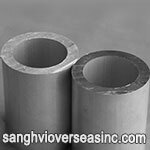 Nonstandard alloys, tempers, and sizes of Tube are produced as seamless extruded Tube. Also included in this standard are seamless extruded Tube for Oil & Gas Transmission previously covered under Specification B345/B345M. ASTM B210	Drawn Seamless Aluminum Alloy Tube for General Purpose & Pressure Applications. 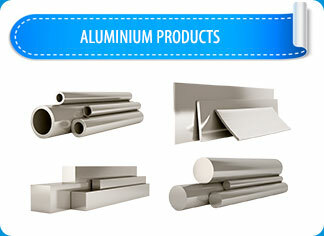 ASTM B221	Extruded Aluminum Alloy Tube for General Purpose Applications. 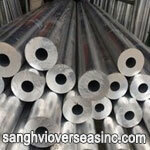 ASTM B234	Drawn Seamless Aluminum Alloy Tube for Condensers & Heat Exchangers. 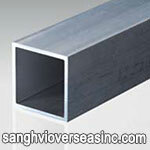 ASTM B235	Aluminum Alloy Extruded Tube. 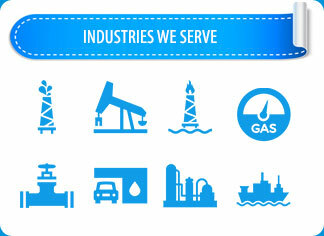 Superseded by ASTM B221, ASTM B241 and ASTM B429. 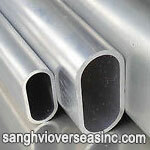 ASTM B241	Seamless Extruded Aluminum Alloy Tube for General Purpose & Pressure Applications. ASTM B313	Aluminum Alloy Round Welded Tube, Manufactured from formed sheet and seam welded by continuous methods. .
ASTM B317	Extruded Aluminum Alloy Tube for Electrical Bus Conductors. 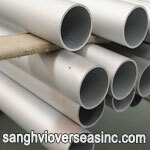 ASTM B345	Seamless Extruded Aluminum Alloy Tube for Gas & Oil Transmission and Distribution Piping Systems. 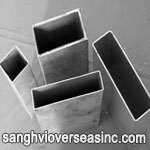 ASTM B404	Seamless Aluminum Alloy Condenser & Heat Exchanger Tube with Integral Fins. 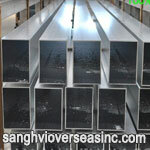 ASTM B429	Extruded Aluminum Alloy Structural Tube. 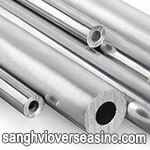 ASTM B483	Drawn Aluminum Alloy Tube for General Purpose Applications. 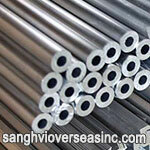 ASTM B491	Extruded Round Coiled Aluminum Alloy Tube for General Purpose Applications. 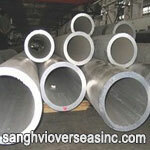 ASTM B547	Aluminum Alloy Formed and Arc Welded Round Tube. 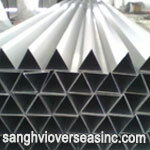 5086 Aluminium Tube is the most widely used form of Industrial Aluminium. 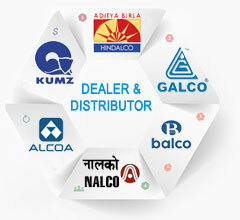 Aluminium 5086 Tube find applications in various industries such as manufacturing cans and packages, transportation, home appliances, building and construction. 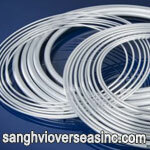 5086 Aluminium coil Tube size 1/4"